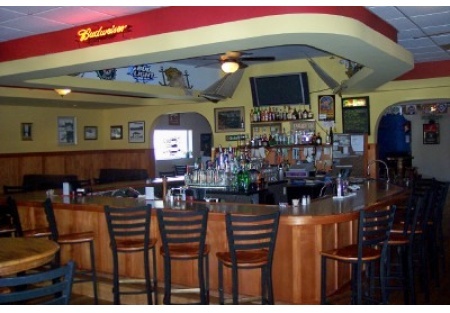 Large Restaurant & Bar with Entertainment & Hard Liquor! No Reasonable Offer Refused! Great feel to this recently closed restaurant. Located in beautiful Lake County just minutes from Clear Lake, this business went through an extensive ground up renovation in 2004, the year it was established. Currently it offers a full bar seating 20, a dining area seating another 64 and an entertainment area complete with stage, stage lighting, pool table and room to transform into a banquet for 50 customers. This is possibly the most happening spot in town offering live entertainment and an extensive menu satisfying everyone. The kitchen is complete with Type I Hood System, walk-in, grease trap and all the other equipment you would expect to see in a restaurant designed for volume. Though this restaurant is located in a resort town the sales stay pretty consistent all year long. The sellers informed the agent they really have not yet tapped into the seasonal market, their business is mostly local. Serving Lunch & Dinner seven days a week and Breakfast on the weekends the successful owner will be need to take a hands on approach to continue the growth. The facility Sq Ft is approx. 3500-4000 with a gross rent of only $2700 a month. The current lease with option goes through July 31st 2014. If you have been looking for your own business, enjoy the quality of life a small town offers, enjoy fun on the lake, don't pass this one by. The current owners have a great opportunity and have decided to move on, this truly is your gain. Sellers are motivated and may even carry a portion of the purchase price to the right buyer. Please take the next step by choosing one of the orange buttons below to see photos, financials and many other great aspects to this business.